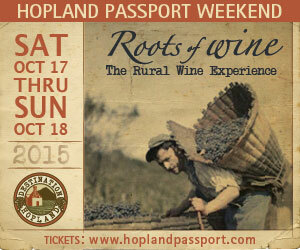 Explore the Roots of Wine at Hopland Passport Weekend! Learn, taste, eat, laugh, hear lore on the magic and mystery of wine. Be immersed in sensory exploration of the Sanel Valley’s homesteading roots, where winemakers from the Old Country established new vines the way their families had for generations. Create your own wine, get your hands dirty in viticulture, organic farming, and olive oil making classes. Enjoy the best that well-aged wineries have to offer, as they pour and pair to your satisfaction. Distinctive wines, incredible food, tours, seminars, art, live music on Saturday and Sunday, October 17th and 18th. Don’t miss the marvelous Roots of Wine event! Join us at the Historic “Brutocao Schoolhouse Plaza” for another fun filled, educational wine weekend. We’ll be pouring our award winning Estate wines from both bottle and barrel, rolling bocce balls, dancing to live music and of course eating great food. In the spirit of our Schoolhouse, we will be hosting “blending seminars” both days. Sign up early, to learn the secrets of great wine making. Join us at Campovida this Hopland Passport for an exploration of white Rhône varietals with our winemaker Sebastian Donoso. We’ll be pouring our Marsanne, Roussanne, and Viognier as well as our Campo Di Blanca, a blend of all three, accompanied by food pairings crafted by our restaurant, the Piazza de Campovida. And finally don’t forget to try our biodynamically farmed Grenache! We will be serving delectable cheeses with our new sparkling wine and Viognier as starter. We will have a fall theme with seasonal corn and black bean salad serve with variety of BBQ grilled tri tip, wild boar sausage, and chicken which will pair well with our two new releases 2013 Cabernet Sauvignon organic and sustainable along with our Zinfandels. We will complete your appetite with our delicious cake paired with our port. Frey invites you to taste our 100% Organic Award-Winning Wines at the Solar Living Center, inside the store. Organic Menu: Apricot glazed chicken breast strips marinated in ginger, garlic, tamari, and local apricot jam; Marinated Frey Ranch Goat Cheese; Roasted root vegetables with olive oil and Herbs; Homemade Hummus; fresh raw vegetables; crackers, baguettes; and Acorn Meyer lemon bars sweetened with local honey on a buttery crust. Graziano Family of Wines with four distinct wine labels will be offering wines from Aglianico to Zinfandel. We specialize in Italian varietals but also make several different Pinot Noirs and old Mendocino varietals like Chenin Blanc and Petite Sirah. Greg Graziano will be doing a seminar on Italian influence in Mendocino County on Saturday. Come taste our wines and enjoy Italian Sausages, aged cheeses, olive tapenade, and more. Scottish Highlanders invade Mendocino Wine Country. The girls of Jaxon Keys are putting on their finest kilts and sporrans to explore our Scottish roots here on Burnee Hill. Join us and taste amazing Estate wines paired with traditional Scottish fare. The Highland Games are taking place in the meadow, bagpipes are sounding in the farmhouse and Americas Best Brandy will be showcased in our expertly guided distillery tour. Slainte! Cheers! Upper Russian River Grilling will be happening at Jeriko for the October Passport. Experience a wild display of mixed meats, cheeses and condiments to complement Jeriko’s Upper Russian River Pinot Noir, Anima Mundi Pinot Noir and Pommard Pinot Noir, along with classics like Sangiovese. Don’t miss out on the barrel sampling, music and special wine prices that are discounted for Passport weekend only. Enjoy Hopland’s top awarded, rated, and reviewed wines, paired with McFadden’s hearty Irish beef stew using McFadden beef roasts, potatoes, carrots, onions, and lots of red wine, along with baguette slices from Schat’s bakery in Ukiah. McFadden Wine Members get 30% discounts plus 1 penny shipping on cases of wine during Passport. Pick up farm fresh premium garlic braids, wild rice, beef, and herbs, as well. Guinness McFadden will be on hand to hand sign purchased bottles. McNab Ridge will be featuring Pollo Ricky Tacos – Perfectly prepared by S’Wine Country BBQ. Marinated chicken grilled to perfection, sauced with a sweet & savory chile sauce, topped with a fresh pico de gallo cabbage salsa, finished with a roasted chipotle peanut salsa, chipotle crema & chopped roasted peanuts. Bottle painting by Leslie Bartolomei. And of course, we’re pouring our whole line up of Rich Parducci’s award winning vintages. Featuring our scrumptious red-wine-infused oak smoked, marinated Tri-Tip, fresh veggies, a variety of cheeses and decadent chocolate raspberry brownies. 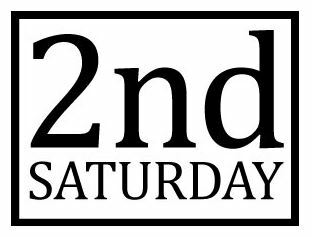 Enjoy live music on the lawn both Saturday and Sunday Noon to 4pm. Learn about Red Winemaking at our seminars – Saturday at 12 & 2, Sunday at 12. Join us and eat, sip our medal winning wines, groove to the tunes and peruse the wares of several vendors selling fashion and crafts! Relax in the Redwoods at Nelson Family Vineyards- with gorgeous views of our terraced Cabernet vineyard. We’ll be pouring our Estate wines paired with Mendough’s Pizza. Roots of Wine Tour, Viticulture 101, Saturday 1 pm and 3 pm, Sunday 2 pm. Walk the vineyards with Greg and Tyler Nelson. See first-hand how to prune, sucker, tie, and leaf pull to yield top quality wine grapes. Relax and enjoy the grandest view in the valley at RIVINO Estate Winery. Where every wine you get to savor in your glass … you can also view from where you’re perched. Along with award winning estate wines you will get to enjoy wood fired food creations by Pagan Fire Pizza … And who knows, maybe we will have some delicious fermenting winery juices to try too! favorite Chardonnays as well as a selection of our award winning reds. Prost! Located in downtown Hopland, SIP is a wine shop and discovery center for anyone interested in learning about and buying Mendocino wines. With over 100 different wines from local producers, we are sure to have something to please every palate. They will be roasting local, grass-fed porchetta and sausages in front of the shop.Stop by and enjoy a glass of wine, cider or craft beer on our beautiful garden patio. We’ll be pairing fine wine wines with tasty treats all weekend long! Find the grill of your dreams at Terra Sávia. Our Passport menu features back-to-back trios of glazed grilled kebobs of beef, fresh shrimp, or chicken along with marinara, cashew ricotta, or pesto gnocchi paired with local seasonal vegetables. Pleasantly topped off with a refreshing Meyer Lemon Cake. Back by popular demand, Coffee Zombie Collective filling the house with their raucous acoustic cover tunes. Bring your appetite and dancing shoes! Order your passport online or buy them at any participating winery on the day of the event. For more information on seminars click HERE. Saracina Join the fun with our “Big Shot” Cabernet Sauvignon Release Party. The Big Shot Vineyard, named for John Fetzer’s brother, Joe Fetzer, is located on a hillside overlooking Saracina Ranch. Ruggedly terraced on a steep, southeast facing slope, it makes a bold statement. We will be serving a savory Gorgonzola Bread Pudding and other tasty bites to pair with our Big Shot Cabernet. McNab Ridge will be serving Michelle Marino’s Meat Lasagna with Garlic Breadsticks perfectly paired with their Gold Medal Winning 2012 Petite Sirah. They will also have delicious dips and spreads along with live music from Steve Winkle from 12-4. And In the backyard join in with an exciting game of Ping Pong and Giant Jenga. Graziano Family of Wines will be serving aged cheeses, salami, olives,figs and more to go with 4 distinct wine labels. Milano Winery will be participating with appetizers and wine specials. Cesar Toxqui serving chicken pumpkin soup…the perfect autumn treat to go with their Viognier – on sale for $15 a bottle. Or perhaps try a spoonful with a lovely Grenache. Mary Goff will also be on hand to offer samples of her organic dark chocolate creations. It’s going to be a great opportunity for locals and visitors alike to visit rock art on our site that dates back over 5000 years and learn from our local Tribal Historic Preservation Officer about the value of these sites and artefacts. Attendees also get lunch and there will be activities for kids – all for just $10 per person! Celebrate California Archaeology Month at the U.C. 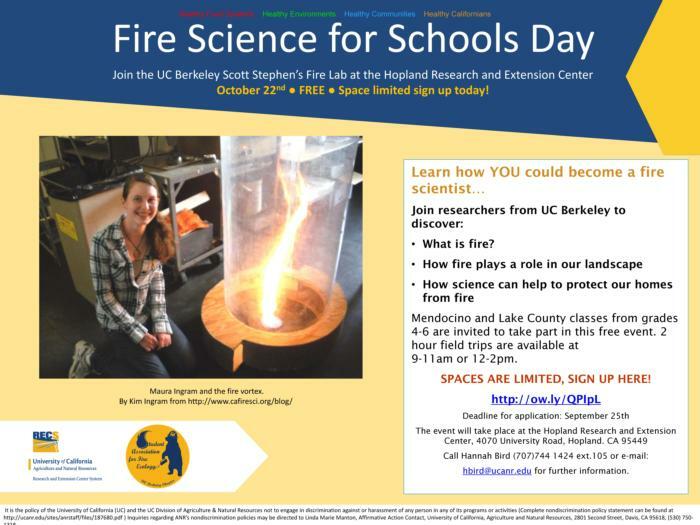 Hopland Research and Extension Center (HREC) on October 10th with activities for all ages. Discover cultural markings (petroglyphs) found on the site and what we can learn from them while kids get the chance to make their own petroglyphs! 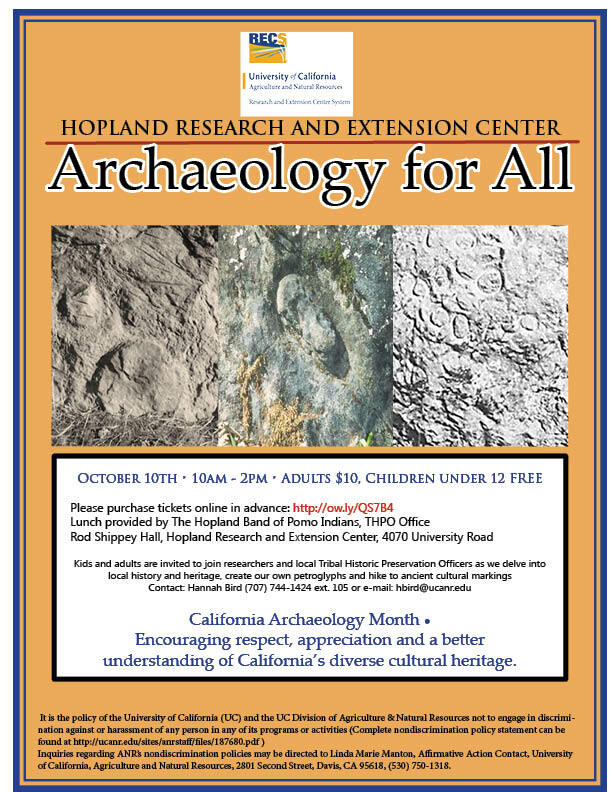 Dr. Donna Gillette, Shawn Padi, Tribal Historic Preservation Officer (THPO) for the Hopland Band of Pomo Indians and Hillary Renick, THPO for the Sherwood Rancheria will explain the history of these markings and their significance. 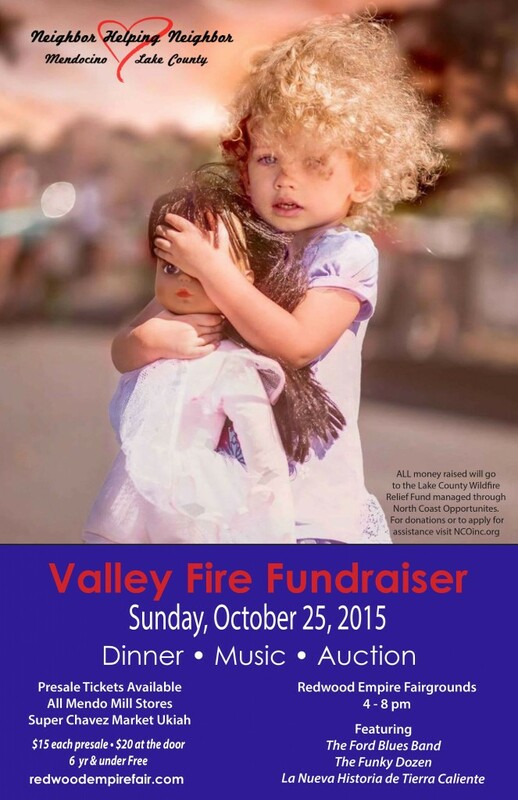 Neighbors helping Neighbors is the theme of Mendocino County’s Valley Fire Fundraiser on Sunday, October 25 from 4:00-8:00 pm at the Redwood Empire Fairgrounds in Ukiah. Sheriff Tom Allman pulled together a group of local leaders, businesses and service clubs to organize a community-wide dinner, auction & music event raise money to support the longterm rebuilding efforts of our Lake County neighbors. Bands such as the Ford Brothers and the Funky Dozen plus one or more Latino groups will be playing. Spaghetti and taco dinners are on the menu. Local 4-H Club members will be selling desserts and local wineries and breweries are providing libations. McFadden Farm has donated an assortment basket of wine and farm goods for auction, and tasting room manager (and local newspaper wine columnist) John Cesano has pulled a special assortment case from his collection for another auction item. Tickets are $15 per person in advance, $20 at the door. Children six and under are free. Tickets are available at Mendo Mill Stores in Ukiah, Lakeport, Clear Lake, Willits, and Fort Bragg, and at Chavez Market on South State Street in Ukiah. All proceeds from the benefit go directly to the Lake County Wildfire Relief Fund created by North Coast Opportunities with the support of Mendo Lake Credit Union and the Savings Bank of Mendocino County. All administration costs are being waived which means one hundred percent of donations go directly to benefit those who have been affected by the fire damage. To volunteer or donate an item to the raffle and auction, contact lm@ncoinc.org. Auction items may be dropped off at the Redwood Empire Fairgrounds office from 9-5 Monday through Friday. For more information call Heidi Dickerson at 467-3230. For more information click HERE. 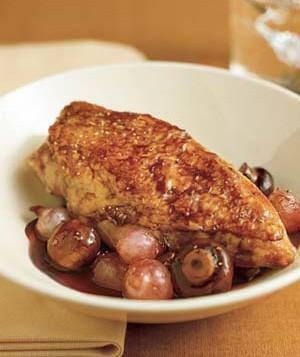 Heat the oil in a large oven-safe casserole over medium-high heat. Add the mushrooms and sauté until brown, 3 to 5 minutes. Add the salad-dressing mix and onions and toss to coat evenly. Stir in the wine and broth and cook until blended. Add the chicken. Cover, reduce heat to low, and simmer 15 minutes, turning pieces halfway through. Remove the chicken and vegetables. Increase heat to high and boil the sauce until reduced and slightly thickened. Pour over the chicken.